You have a Windows 7 OS with Office 2010 installed on it. You have a printer configured and attached to it. You were able print successfully without any issue but now you notice that some time when you print word, excel documents you get following error. "word cannot print, there is no printer installed"
In this scenario if you go the printer property and print a test page it print without any problem, this mean the problem is with MS Office. 1: Temporary solution which has worked for this type of issue is closed the office word, excel program and re-open it, after reopening office will print documents. 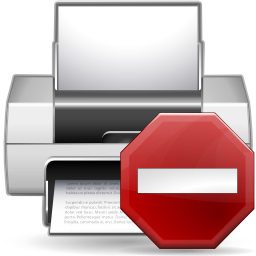 This articles describes steps following which office won't disable printing. 3: If still you have the issue then your Antivirus (Symantec or Avast) is mostly likely causing this issue, temporary disable the Antivirus and see how things works.